Pegasystems, a customer engagement software provider, announced a partnership with Idio, a B2B demand orchestration platform. The partnership aims to help users offer relevant content to target accounts to accelerate the sales cycle. 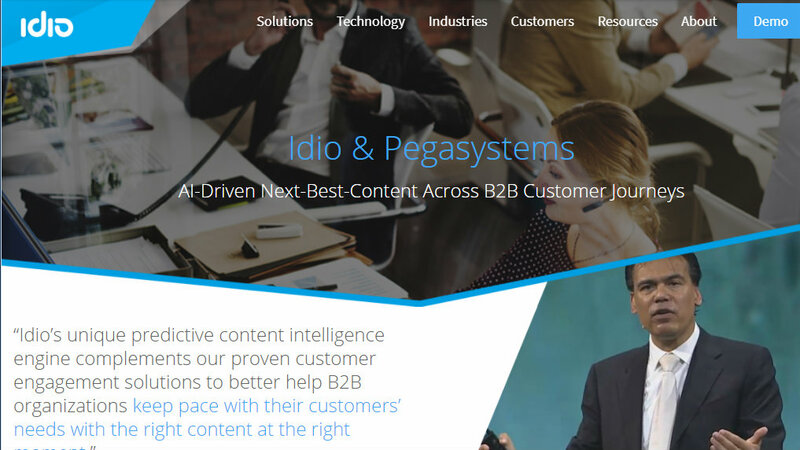 With the partnership, Pegasystems and Idio can help optimize B2B engagements in real time to provide customers with the next-best content using centralized AI. The partnerships positions users to analyze all past customer interactions to identify and deliver relevant and timely content — enhancing customer experiences to move accounts to the next stage of the buying journey.